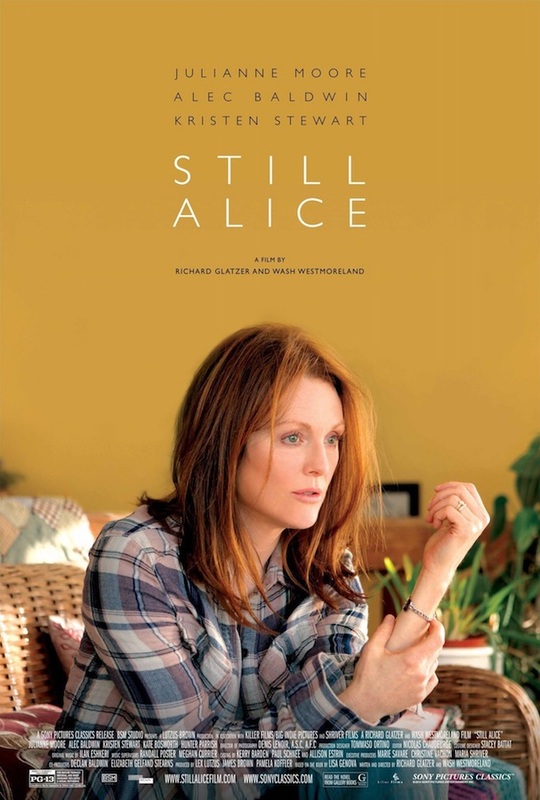 “I am not suffering; I am struggling.” These words are part of a beautiful speech delivered by Julianne Moore in her Oscar-nominated performance as Dr. Alice Howland in the film Still Alice. The film is a powerful testimony of how a woman who has made her career out of words loses her words because of early-onset Alzheimer’s disease. At the age of 50, Alice begins to notice that she can’t recall words. She gets lost. She gets stuck. When she seeks medical help to figure out what is wrong, she is dealt the blow of an Alzheimer’s diagnosis along with a bleak prognosis. It’s rare for a woman her age to have this disease, and because its early-onset, the decline is rapid. The film takes viewers on a journey of her reality, revealing the implications for her husband, children, and career. She loses her prestigious teaching job at Columbia University when students begin to give her bad evaluations due to lectures that are chaotic, random, and confusing, with Dr. Howland often acting lost herself. Her three children have to decide whether to have genetic testing since her form of Alzheimer’s has a genetic factor. One daughter (Kate Bosworth) gets tested and discovers she’s a carrier, which has particular implications for her since she and her husband are having fertility treatments in order to conceive. Alice’s son, a medical student (Hunter Parrish), gets tested and finds out that he does not have the gene. The youngest daughter (Kristen Stewart) decides not to get tested. John, her husband (Alec Baldwin), is offered a job at the Mayo Clinic in Minnesota and has to decide what to do in light of his wife’s fast decline. I was a delighted to see this wasn’t a euthanasia or physician-assisted suicide film with all the “right to die” and “compassionate choices” rhetoric. Even Alice’s plan for suicide, which she plans to implement when she is unable to answer key questions she has determined for herself, is thwarted in a funny way, giving relief to the viewer. I could almost sense a sigh of relief in the audience in the theater where I saw the film.